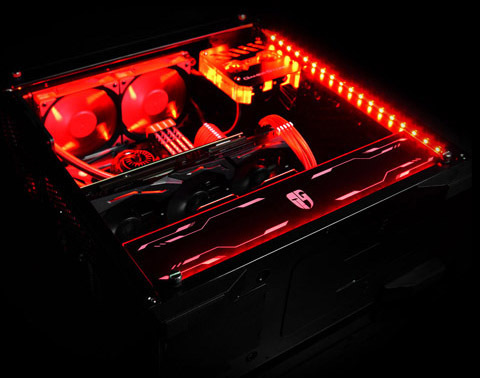 Dukase Liquid achieves a tremendous upgrade from Dukase V2 by integrating an advanced liquid cooling system featuring a number of integrated red LED light sources that can illuminate the whole rig brilliantly, including flow indicator, water block, LED light panel, and LED strips. 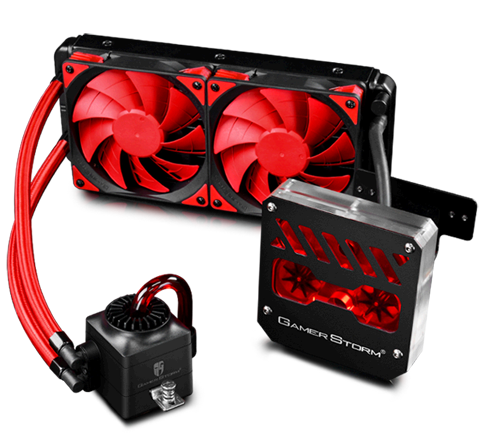 Apart from being styled with Steam Punk appearance, built with visible liquid flow and LED lightening, the latest Captain 240EX AIO liquid cooler is more focused on unbeatable cooling performance under an exceedingly low noise operation. Dukase Liquid is a stylish case with the side panel made of acrylic glass, which is specially processed not only for a clear view of the interior, but also to maintain a better and stable transparency even after extremely long-term use. 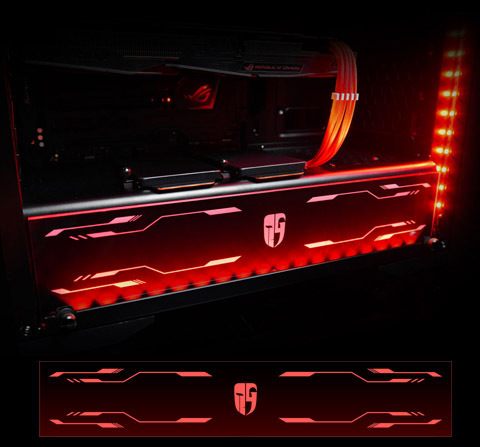 A Custom LED light panel featuring the Gamer Storm logo mounted vertically gives a premium quality to the personalized lighting effects. Multiple built-in LED strips are pre-installed inside to create an exciting mood for any game and unleash the users’ passion by creating a relaxing yet joyful atmosphere. 2 x 3.5" / 2.5"
19.84" x 7.95" x 19.00"
This item is covered by Newegg.com's International Return Policy. 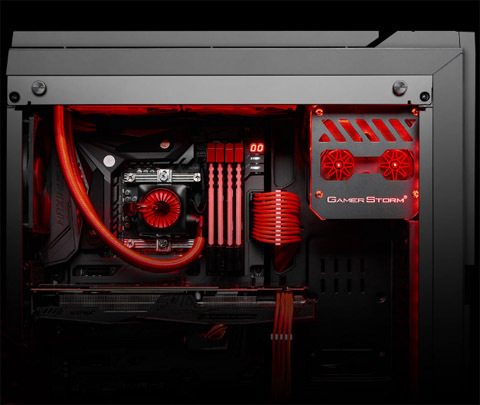 Pros: Beautiful case, easy mounting of AIO CPU Water block and pump and plenty of room for custom cabling. Cons: Forget about mounting optical drives because there's no room because of the placement of Flow Meter. Removal of front cover and door assembly for front fans is tricky. The plastic mounting pegs are easy to break. I contacted the manufacturer for a replacement front cover and was told they don't stock replacement part for the case. Other Thoughts: If you want to have optical drives or you're a first time builder I would recommend that you look at a different case. Other Thoughts: Would I recommend this product? No. Thanks for your purchase of DUKASE LIQUID. We are sorry for the problem you met.Please don't worry. Would you please write to support@deepcool.com for further RMA? 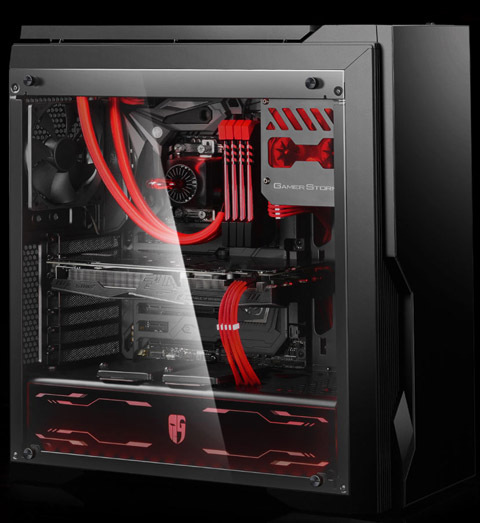 Pros: - Good looking case and liquid cooling is already installed, awesome idea. Cons: - Cheap plastic front with 5 of 6 snap tangs that hold the front panel were broken in shipment. Other Thoughts: Who's to blame, Fed EX or DeepCool?? I'd say both... Cheap front panel by DeepCool and Fed EX for smashing and ripping about 8'' inches of the box open. Delivery person didn't even ring the door bell, they knew it was busted and did not want to deal with it. I pulled case out of box and like the whole front panel fell off with splinters of plastic pieces bleeding out in front of me. 3 out of 8 people found this review helpful. Did you? 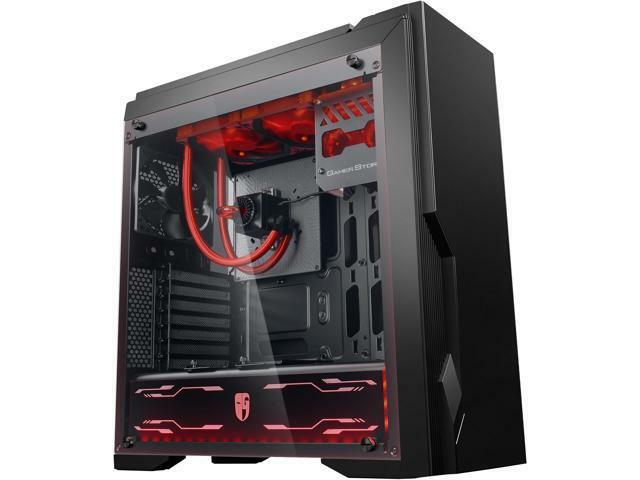 - Front panel door is very restrictive, though you can either remove the door altogether, or remove the flat metal insert in the door to allow 100% better airflow. pump, was a good cost effective tower. Cons: Cheep plastic front, Not near the quality of my Genome. Other Thoughts: Came in broke . Five of the six snap tangs that hold the front to housing were broke. Est of a 30% less quality of my two Genome. gathered system parts to move up to Ryzen. Will move cooler to another case when funds are avail. Other Thoughts: I am ultra satisfied with this case and just bought the mATX version for a smaller build. I agree that a first time builder might sweat a little with this case but the layout is great and everything is super easy to figure out if you just look at the pictures in the directions. For the price I paid this was an awesome value. Pros: Looks great, went together easy enough. Cons: Did more damage to my computer than it cost. We are sorry for the problem you met.Please don't worry.Would you please write to support@deepcool.com for further RMA?